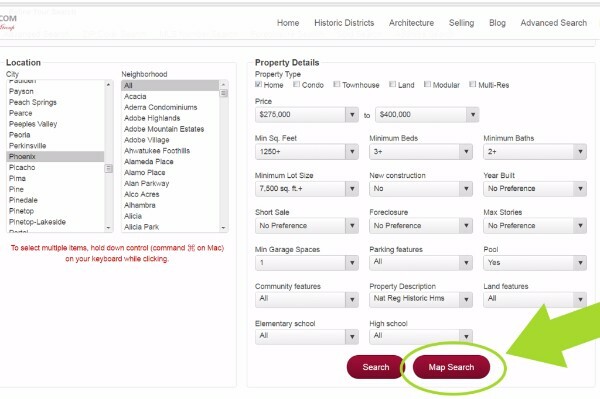 Custom design your home searches. Hey, it’s Don, Zach, Ami and Georgia bringing you a REALLY cool way to use our new website to search for EXACTLY what you want. It was a little confusing for some of our clients, so we thought that an email featuring a step-by-step way to do save your own custom searches might help out a TON. So, are you ready? First, select "Advanced Search" from any of the search form boxes on any of our pages. You'll be taken to the next page for more choices. Next, make your selections. 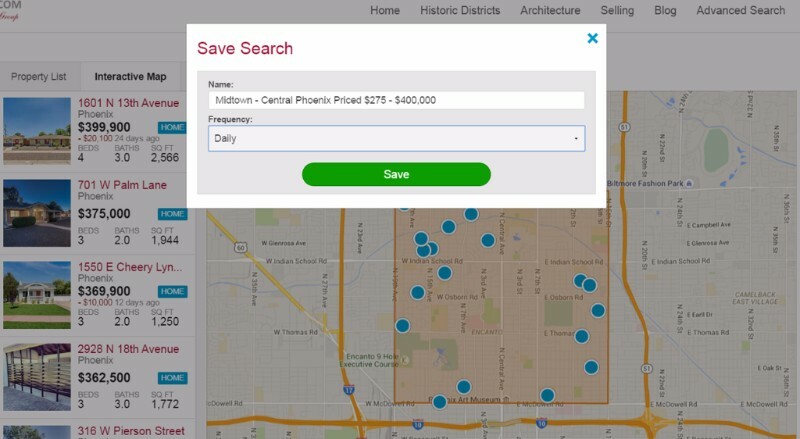 Don't use the Neighborhood button yet, but select City, price, beds/baths, etc.. Then select "Map Search." Now, zoom in on the area of town you'll be interested in, and you'll notice that the homes on the left will change as you zoom in on the map. When the area that you like is in view, select the Octagon shape at the top of the screen. 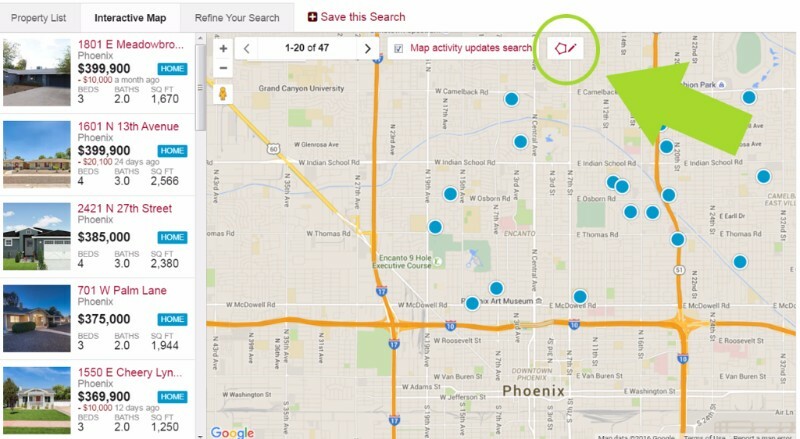 Now, begin drawing points on the map to narrow your search to the area you'd like to live in. Make sure that you completely connect all of the points on the map so that your final point is where you began. Then give it one final click. The area you've selected should be colored now as in the above photo. 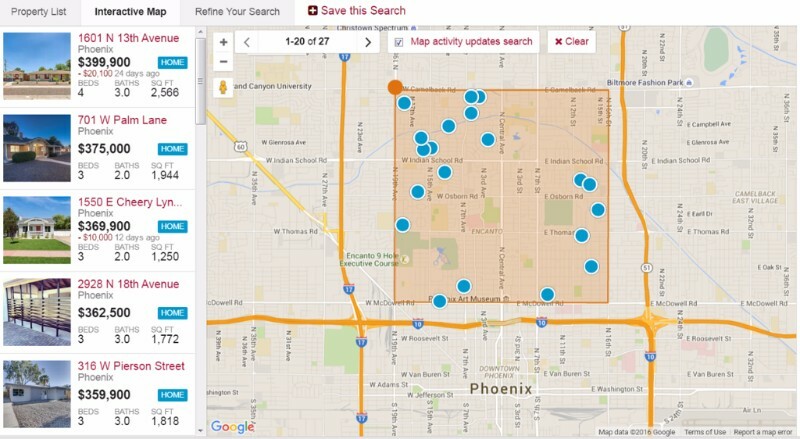 Finally, Give your custom search a name so you'll recognize it later, and select how often you would like to be alerted when properties in your new neighborhood are listed! You can choose Daily, Weekly, Monthly, etc.. But Daily emails will give us the BEST chance of finding your home before someone else sees it and writes an offer! We hope that helps! And as always, we're here to answer any questions you might have. 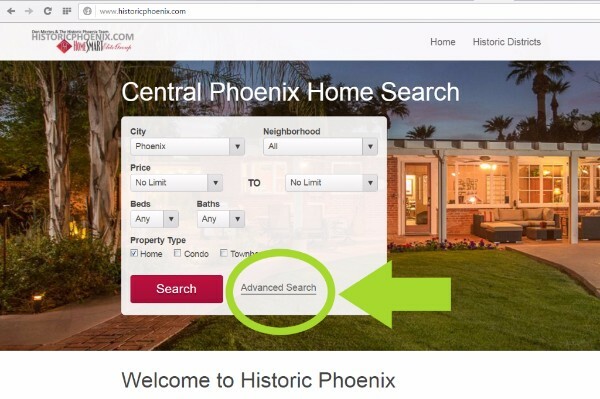 So enjoy the day, enjoy house-hunting on historicphoenix.com and we'll talk soon! Copyright © 2016 Don Mertes, Real Estate, All rights reserved.